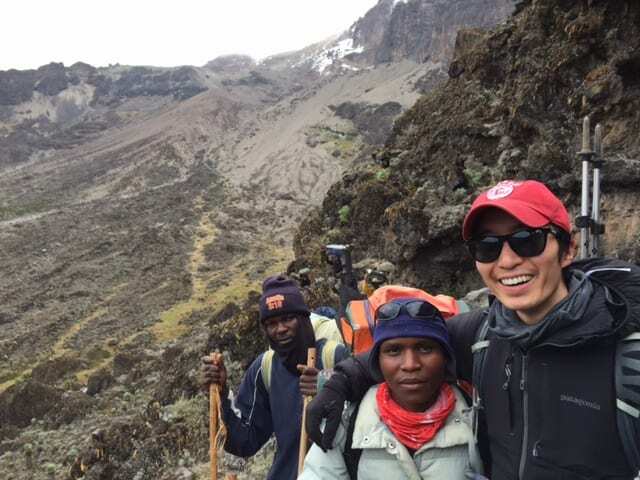 CSF Young Leader Kevin Song Scales Kilimanjaro to Fund Scholarships! 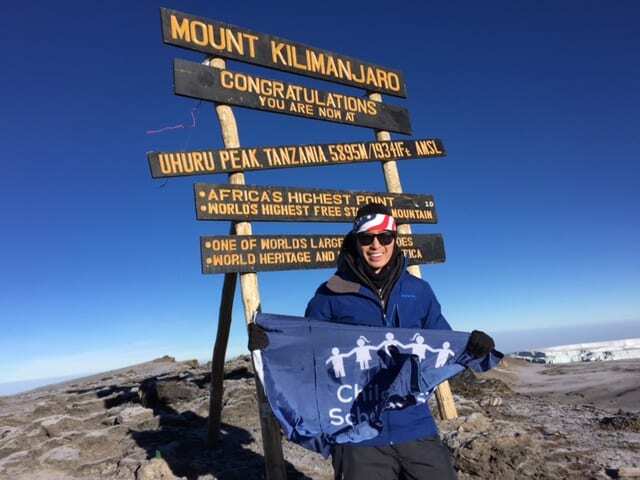 A few weeks into the new year, CSF Young Leader Kevin Song undertook a very special challenge. He and his friend, Rohini Kadle, climbed Mt. Kilimanjaro as a fundraiser for CSF. Together, they raised more than $20,000 – enough to fund scholarships for a year for ten New York City children! The day before they flew to Tanzania to begin their climb, Kevin and Rohini visited Mt. Carmel-Holy Rosary School in East Harlem and spoke with sixth graders there. The students had lots of questions, from what kinds of clothes they would need to pack (“everything from shorts and t-shirts to full puffy jackets and snow pants and rain gear”) to whether they would encounter lions and tigers (“I hope not!”). 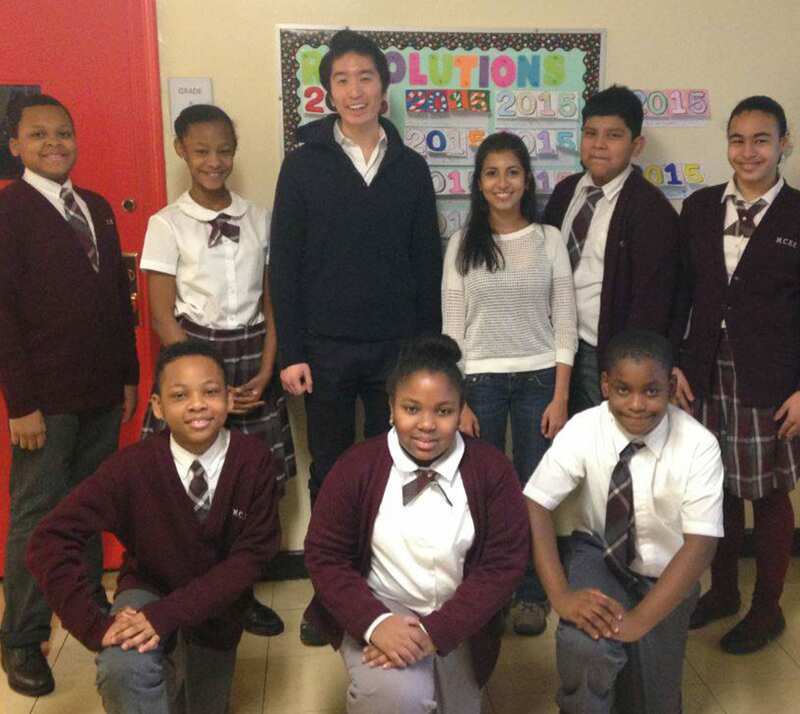 Kevin Song and Rohini Kadle (center) met with students at East Harlem’s Mt. Carmel-Holy Rosary School the day before they set off for Tanzania. All told, the trip took eight days, seven of which were devoted to hiking up Mt. Kilimanjaro, Africa’s highest point at more than 19,000 feet. Kevin and Rohini were part of an international group of eight climbers accompanied by five guides and numerous porters who carried as much as 90 liters’ worth of gear each. The group camped out in tents along the way, sharing supplies with each other and providing much-needed moral support. Kevin with some of the group’s guides and porters. The final stretch of climbing, “summit night,” was the most difficult, since the climbers hiked overnight in sub-zero temperatures so they could reach the peak close to dawn and be rewarded with views of the sunrise. Kevin said it was so cold the guides advised breaking up chocolate and granola bars into pieces small enough to eat without chipping teeth! The last stretch is also difficult because the gradient is at its steepest, and volcanic ash forces climbers to slide back a step for each two steps forward. Add to that getting by on just a few hours of sleep due to the high altitude, and you can imagine how grueling “summit night” can be! And persevere he did, because although reaching Stella Point is considered “summiting,” getting to the iconic Uhuru Peak sign actually takes another two hours of brutal climbing past huge glaciers “with clouds flanking you on all sides.” When he finally reached Uhuru, Kevin proudly unfurled the CSF flag he had been carrying for a quick photo. Kevin Song waves his CSF flag at Mt. Kilimanjaro’s Uhuru Peak. Perhaps the most interesting question the Mt. Carmel-Holy Rosary students asked Kevin and Rohini was why they set this particular challenge for themselves. “I think for me it started out as something really fun and exciting, but I think it’s a really great personal challenge because they say that it takes a lot of both physical but also mental perseverance to get up there,” Rohini told the children. For Kevin, already a veteran of several mountains, raising money for scholarships was the real inspiration. “I know I personally wouldn’t be where I am today without the education that I received and to give other people the same opportunity is what drives me,” he said. We continue to be amazed and inspired by Kevin and Rohini’s Climb for CSF! Thank you, you make us proud!